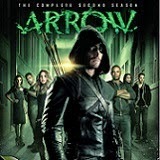 Just in time for "Arrow’s" third season on The CW, catch up with the hard-hitting action series as Warner Bros. Home Entertainment Group releases Arrow: The Complete Second Season on Blu-ray Combo Pack and DVD. Billionaire archery enthusiast Oliver Queen (Stephen Amell) returns for another season in Starling City. 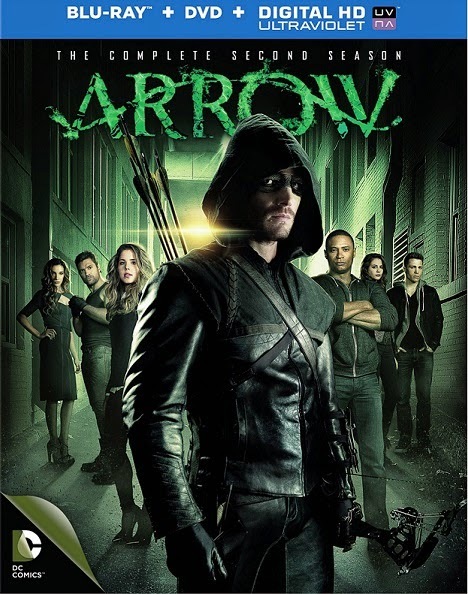 Sworn to fight crime and corruption in his city, Oliver (aka the Arrow) – with the help of the tech-savvy Felicity Smoak (Emily Bett Rickards) and his iron-fisted right hand, John Diggle (David Ramsey), and the occasional, reluctant assistance of former police detective Quentin Lance (Paul Blackthorne) – has been waging a one-man war on crime. But in all wars, there are casualties. To honor his fallen friend, Tommy Merlyn, and protect the people he loves, Oliver must rededicate himself to his mission and be more than just a vigilante. He must become a beacon of hope for the city’s most vulnerable…and a weapon of justice against those who prey upon them. 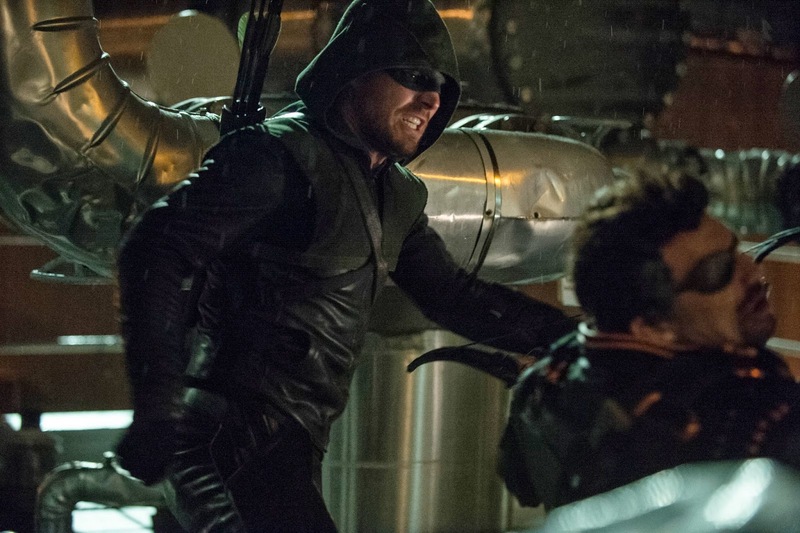 One of the things that I like about "Arrow" is its ambition and willingness to take risks. A lot of the episodes' events could easily be the season finale for other shows, while their actual season ending episode usually feels like the what would be the series finale elsewhere. After the first season's climax that resulted in the destruction of the low income part of Starling City called The Glades and the death of one of the main characters, I wondered if the show was worried about being cancelled and decided to accelerate the timeline of their overall story to entice viewers. After watching this second season, I now understand that they weren't doing that out of desperation, but rather because they had had that much confidence that they still had so much of a story to tell. This season opens with a fairly depressed Oliver Queen (Stephen Amell) who has abandoned his city to feel sorry for himself for failing to stop Malcom Merlyn's (John Barrowman) plans. It takes his former computer lab technician Felicity Smoak (Emily Bett Rickards) and bodyguard/friend John Diggle (David Ramsey) to bring him back to Starling City to do what he does best - putting the smackdown on criminals. One thing has changed since his first year however, as he no longer wants to kill them in an effort to honor the memory of his former friend who was killed last season. Oliver's mother Moira (Susanna Thompson) is now on trial for her part in Merlyn's plan to destroy The Glades despite her late efforts to save the area's residents. 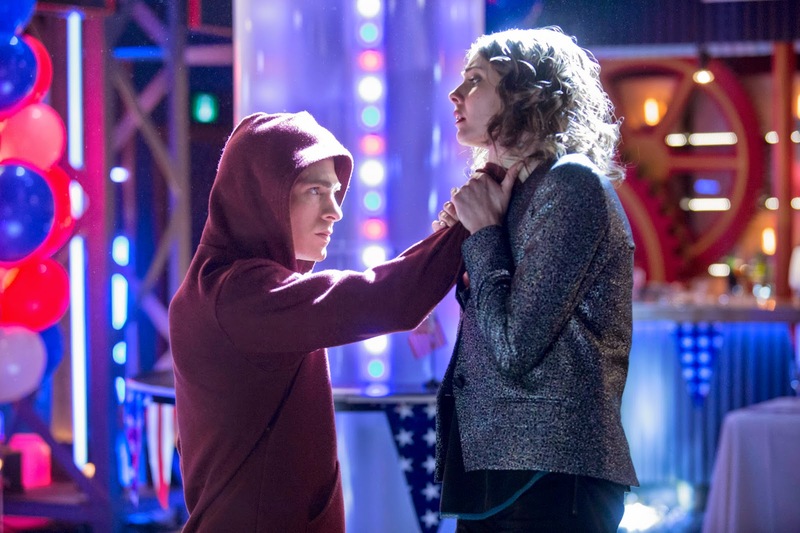 Oliver's sister Thea (Willa Holland) seems to develop a split personality this season all the while romancing Oliver's wannabe protege Roy (Colton Haynes). In an effort to be more than a superhero show, "Arrow" makes a considerable effort in adding the drama (which often turns into melodrama) through both its characters and the many flashbacks to Oliver's time on the island where he had a lot of growing up to do. A big part of this manufactured drama took a turn for the worse this season with the poorly handled downfall of Laurel Lance (Katie Cassidy) who ends up spending most of the season as an alcoholic junkie. Her father, Detective Quentin Lance (Paul Blackthorne) who is a recovering addict himself, does his best to help her and on occasion the Arrow. Sarah Lance (Caity Lotz) who may or may not be the original Black Canary, is torn between her past and her family which will come to a head when her former associates from the League of Assassins come looking for her under Ra's Al Ghul's orders. That would be enough of a story for a season for most shows, but not for "Arrow." We also have several other storylines that involve Oliver's one time friend now sworn enemy Slade Wilson (Manu Bennett) and a new threat in the form of the local alderman called Sebastian Blood (Kevin Alejandro). Of course, some former enemies will also reappear this season including The Count (Seth Gabel), Bronze Tiger (Michael Jai White), Deadshot (Michael Rowe), China White (Kelly Hu), The Clock King (Robert Knepper), Shrapnel (Sean Maher), and The Huntress (Jessica De Gouw. One of the other cool things about this season is that it really feels like a DC Comics show now. As a lifetime fan of DC, it's great to see the show really start taking advantage of the characters available from the DC universe. We even get an introduction this season to The Flash himself Barry Allen (Grant Gustin) who will soon have his own show. We also get to see the Suicide Squad (and a cameo from Harley Quinn herself) too which adds a lot of fun to the show. While I think the show should drop the melodrama and focus more on the crime-fighting, I still really enjoyed this season. The main draw is Stephen Amell as Oliver Queen as he's perfect as the future Green Arrow and his physicality and willingness to do most of his own stunts raises his performance to a whole other level. He also does a nice job showing the audience the difference between the Oliver Queen who had to learn how to survive on the island and the capable protector of Starling City. The rest of the cast is also good in their roles but I think there's too many of them (although there is one less after this season). I also didn't really like Thea's storyline as her personality was schizophrenic all season which wore thin quickly. Emily Bett Rickards has turned into a fan favorite super fast and she continues to add new layers to Felicity whom may end up being a love interest for Oliver next season. David Ramsey is also good as Oliver's right hand man and we learn a lot more about him this season. 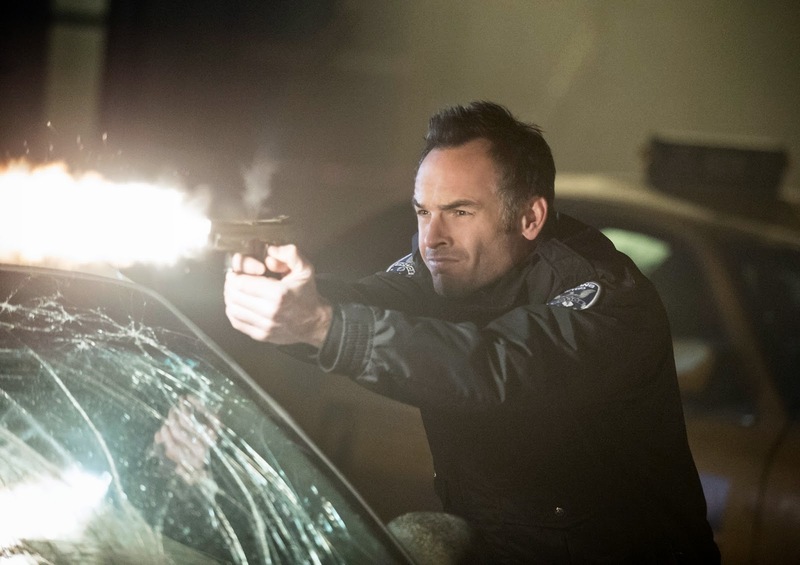 Paul Blackthorne continues to do a good job as Detective Lance who is now a big part of team Arrow. I also have to commend Manu Bennett as Slade Wilson as he adds a lot to the show, both in the flashbacks as a friend to Oliver and also as the main villain who has sworn to make Oliver suffer. The season finale is also fairly epic for television but not for this show as it continues to push the boundaries of what a superhero show can be. "Arrow's" episodes are presented in 1080p (1.78:1) and this is a big step up in quality over the previous season. The episodes look sharper and more detailed and the colors on display look much more bright and accurate. The CGI effects also benefit from this sharper image which makes them look even better. Contrast is also much improved which is very welcome for a show that spends as much time as it does in the shadows. Black levels look fantastically inky and solid as they should. While these episodes don't look perfect, they are still a huge improvement over the previous season and fans will be happy with how it looks. The show's DTS-HD Master Audio 5.1 mix is also outstanding and one of the best parts of this Blu-ray presentation. For most shows, it's easy to dismiss their soundtracks because there's hardly any effort put into creating the mix. Not so with "Arrow" as this the tracks made for this show are so astounding that they easily rival many films. It's an immersive mix that works really well during the jungle scenes on the island and even in Oliver's nightclub Verdant with both of them sounding appropriate. I especially like the sound design for the many action scenes as they really add a lot to the show and the LFE channel packs quite a punch. Dialogue is clear and clean sounding and Blake Neely's music is well balanced with the rest of the mix. This is a fantastic mix that really brings the show to life. There's a lot to cheer about with this set's extras as we get the episodes on both four Blu-ray discs as well as all of them also on five DVDs too. I wish there were more extras on the making of the show included but overall I'm pleased with this set. It's nice that Warners included three ways to watch the season including an ultraviolet copy to go along with the Blu-ray and DVD versions. 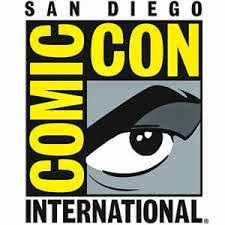 All of the extras are also presented in high definition with the exception of the "Arrow" 2013 Comic-Con Panel which is in standard definition. Deleted Scenes - We get nineteen deleted scenes are split across the four discs which can be viewed either along with the episode that they were cut from or where they've all been collected in one spot. Arrow Comic-Con 2013 Panel - It's nice to see the panel that I actually attended back in 2013 that features Stephen Amell, Colton Haynes, Katie Cassidy, Emily Bett Rickards, and David Ramsey as well as the show's producers who talk about the show, its future, and answer audience questions. From Vigilante to Hero - This is a twenty-four minute featurette that delves into the character development of Oliver Queen's transformation from vigilante to hero. Discussing that transition, we hear from stars Stephen Amell, David Ramsey, Manu Bennett, Paul Blackthorne, and Caity Lotz. How Did They Do That? - We get a behind the scenes look at the some of the key visual effects that were added this season. Visual Effects Supervisor Mike Kirylo and compositor Andrew Bardesk walk us through several different scenes and show us how they were done. Wirework: The Impossible Moves of Arrow - If you ever wondered how the show pulls off those wonderful fight scenes, then you should take a look at this featurette. We get to see Stunt Coordinator J.J. Makaro, Fight Coordinator James Bramford, and Stephen Amell himself stage a fight and how the end result is due to a lot of prep work and rigging. Stephen Amell’s stunt double Simon Burnett also gives us a look at how wirework is performed for the show and and it all makes the fight scenes look so impressive. Gag Reel - This is a collection of clips showing the cast flubbing their lines and screwing around, but I could have passed on this one. I usually like gag reels but this one fell a little flat for me. DVD Version - As a bonus, the entire season is also included on five DVDs too. Ultraviolet Copy of the Show - The entire season is also included as a digital download through Ultraviolet. If you aren't watching "Arrow" then you need to fix that right now. It's well acted, has some incredible fight scenes, and it is now reaching deep into the DC universe well to populate its rogue's gallery. This Blu-ray offers some excellent video and audio quality and the extras are also pretty good. This is an easy show and Blu-ray to recommend as the show and its presentation get better and better with each season. I'm already anxiously waiting to see where the third season will take the show!